Australia Day is an annual call out to everyone to remember what it truly means to be Australian and what Australia really means to us. It is a time to acknowledge all that we love about this great country and the people. While Sydney commemorates the establishment of the first European settlement at Port Jackson on 26 January, Melbourne celebrates the unique blend of colonial heritage and multiculturalism that is modern day Australia. It was at the Exhibition Building in Melbourne (then the seat of the federal government) that the Australian National Flag was flown for the first time in September 1901. As you think about flying the Australian flag, here are 8 top and FREE ways to get into the spirit and celebrate the official national day of Australia in the world's most liveable city. The Governor of Victoria is sharing his abode with all citizens of Victoria and visitors on Australia Day from 10am to 3pm. This is a rare opportunity to tour one of the finest buildings in Australia and areas not normally open to the public. You and your family will be able to view the State Apartments, Private Apartments and the Governor's Study in the Government House. Other onsite activities include kids' entertainment, live music, refreshments and a tour of the picnic grounds. Admission is free and the last entrance is at 3pm. Phone 03 8663 7260 for more information. Head over to the front of Melbourne Town Hall for the annual flag raising ceremony of Australia Day from 10.30am to 11am. 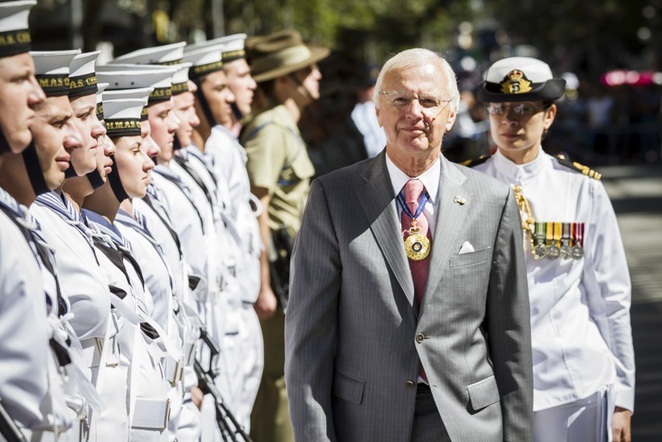 You will hear the Australia Day Address by His Excellency, the Honourable Alex Chernov, AC QC, Governor of Victoria and the raising of the national flag at 10.30am. This is followed by the inspection of the Tri-Service Royal Guard of Honour by the Governor and the Premier of Victoria will lead the public in the Australia Day Affirmation. 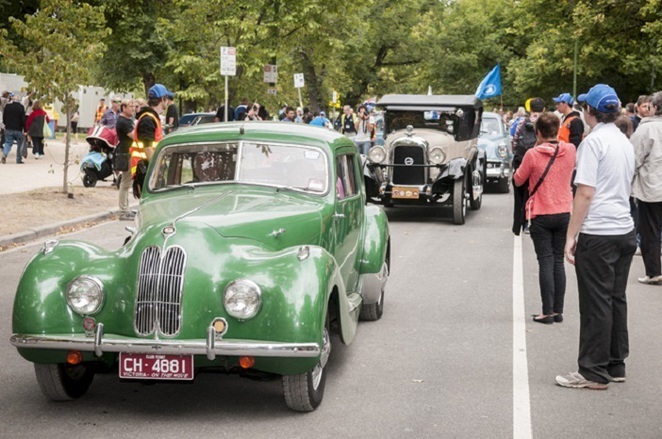 Melbourne's Swanston Street will be transformed into a colourful street parade flanked by thousands of spectators cheering and waving the Australian flag from 11am to 11.45am. The Australia Day Parade showcases Victorians from all walks of life as they make their way from Swanston Street to Kings Domain via the Princess Bridge. The Parade will start following the Australia Day Flag Raising Ceremony at the Melbourne Town Hall. What's Australia Day in Melbourne without a picnic at Kings Domain Gardens. From 10am to 4pm, you and your family can enjoy a display of 400 historical vehicles, visit the enchanted forest craft installation, learn about native wildlife, make healthy snacks and be entertained by live performances on the main stage. There will also be a variety of food stalls offering tasty bites. Don't forget to look towards the sky at 2pm as RAAF's elite formation aerobatic display team, the Roulettes, perform breathtaking displays. Head over the Shrine of Remembrance where the 2nd/10th Light Battery will mark Australia Day with its traditional 21 Gun Salute at 12pm. 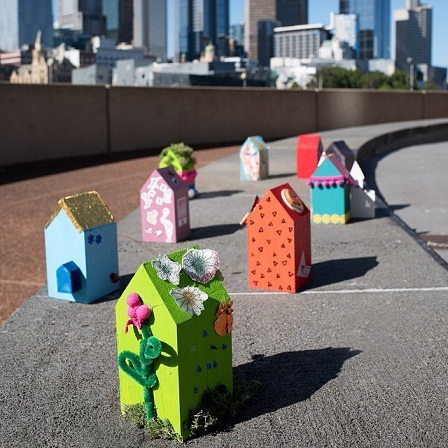 Arts Centre Melbourne is hosting a public arts celebration which involves 7,000 little houses distinctively decorated by communities from all over Victoria and scattered around Melbourne. On Australia Day, the arts centre has teamed up with Multicultural Arts Victoria to deliver a FREE program of music, dance and workshops from 12pm to 4pm. It involves foreign artists who have chosen to make Melbourne their home. Hosted by Mikelangelo, the line up includes The Lalibelas, The Cambodian Space Project, Boon Wurrung Ngargee, Ajak Kwai, Alex and Nilusha, Tama Tatau and Dya Singh. Visit the website for more information. As you celebrate Australia Day in Docklands, don't forget to take the kids to Harbour Town. From 11am to 2pm, you and your family can enjoy a wildlife animal display featuring native Australian animals. Kids can also touch most of the animals. There are also 20 minutes presentations at 11am, 12pm and 1pm featuring a mini-zoo of animals and birds including a wombat, sugar gliders, frogs, tawny frogmouth, kookaburras and many more. 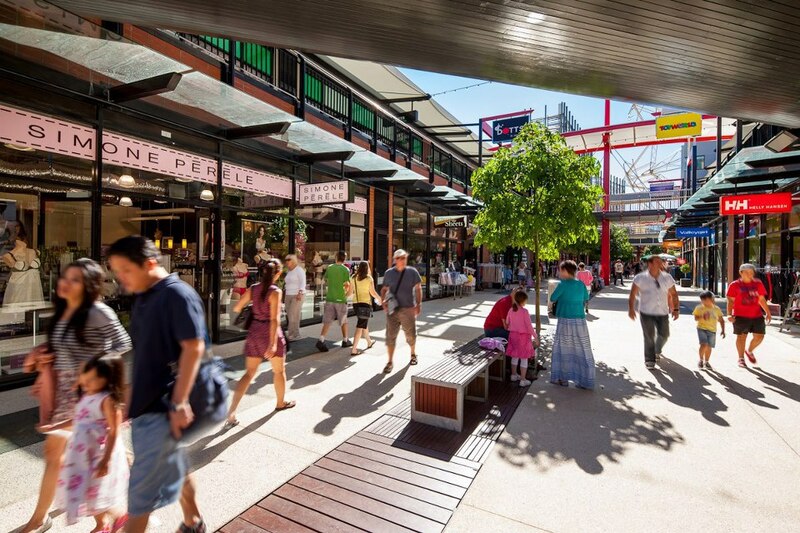 In addition to Harbour Town, the NewQuay Piazza in Docklands will offer a day of family fun on Australia Day. Supported by Destination Docklands, you and your family can enjoy heaps of FREE activities like face painting and kite making, live music and performances and food and market stalls from 12pm to 10.30pm. As Australia Day celebrates the day in 1788 when Captain Arthur Phillip arrived at Sydney Cove, what better way to finish a great day with fireworks over the waters of Docklands at 9.30pm. Visit the website for more information.